CrowdStrike, a cybersecurity startup, has hired as its first CIOColin Black, who will help scale out internal systems and processes for a threat-detection software company that has seen considerable growth. Black's appointment brings a built-in advantage that should help fortify the startup's sales pitch to corporate and government clients: He used Crowdstrike’s threat-detection software this year while working as CIO of defense contractor Kratos Defense and Security Solutions. 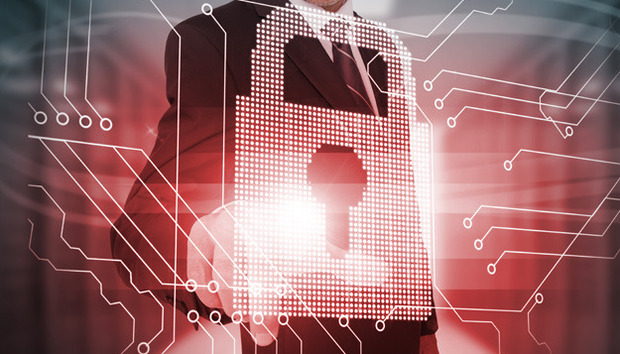 Hiring an information security vendor? Use these best practices. "We were essentially battling two nation actor states on a daily basis," says Black, adding that Kratos faced significant cybersecurity threats while integrating 15 acquisitions conducted over 18 months. He says most cybersecurity products were "rear-view looking," identifying past malware and finding ways to detecting them in the future. Such software is ineffective against nation states, which are "very inventive and tend to use new things all of the time,” he says. Kratos needed a tool to pinpoint and address threats in real-time. Crowdstrike sits at the vanguard of next-generation cybersecurity tools, offering sophisticated threat-detection analytics. Its secret sauce is steeped in machine-learning algorithms that detect attacks as they are occurring. Its core Falcon platform has exceeded a compound annual growth rate of 550 percent over the past three years. Large defense, financial services, technology and energy enterprises are making room in their IT portfolios for Falcon and associated adversary-tracking services, Black says. Seeking global expansion, Crowdstrike banked $100 million in financing led by Google Capital this summer. Crowdstrike certainly left an impression on Black, who early in 2015 began using Falcon to track malware, including phishing scams, among other attacks from nation state adversaries seeking Kratos’ intellectual property. It detected "credential theft," in which an adversary tried to steal passwords to gain deep access to the network. He says Falcon found in minutes what took traditional tools a week or more to spot by combing through data logs. And it did so with little effort on Black’s part. It "did exactly what it said it was going to do out of the box and was really easy to deploy," he says. Kurtz said that Black’s international operations and IT governance experience – he led Cymer’s $510 million field service business, operating primarily out of South Korea, Japan and Taiwan -- will help the company move in lockstep with evolving local and international legal and regulatory laws. That is no trivial matter, as different countries have different operating requirements for businesses, as well as disparate cybersecurity policies. Much of the machine learning is considered secret sauce. But at a high level, Black says, Crowdstrike’s core Falcon software parses computer execution data, using attack signals to understand chains of events. For example, if a person opens an email and clicks on a link that opens a Web browser and a notepad opens in the background, there is a good chance the person has fallen prey to a phishing scam. Crowdstrike will immediately flag such a transgression and move to quash it. The company has also accumulated a wealth of profile information on the techniques nation state adversaries and other bad actors employ to infiltrate corporate computer networks. You might ask why this matters if someone has already breached your network. But Black says such information is critical in helping CIOs pry some extra funding for cybersecurity protection from CEOs and their board of directors. “Funding comes relatively quickly at that point because it’s not some ethereal threat, it’s a real threat with a real face,” Black says. Crowdstrike practices this on the national stage. The company in October reported that hackers with ties to the Chinese government may have tried to violate an agreement not to hack private firms in the U.S. for economic gain. In Black, Kurtz also possesses perhaps the perfect pitchman; a CIO with global business technology credibility who can communicate the value of Crowdstrike to peers stung or at least frightened by emerging threats. In fact, Black has already pounded the pavement, meeting with CIOs at conferences in Dallas, Chicago and Salt Lake City to discuss Crowdstrike’s technology. Black says his IT posture will be a “green field” approach, whereby he adopts emerging cloud systems that are easy to use and can expand globally. In preparation, he plans to establish a data architecture that enables information to flow between various cloud services, ostensibly to avoid walling off data. “What happens with a lot of these green field companies is they get into data silos,” he says.